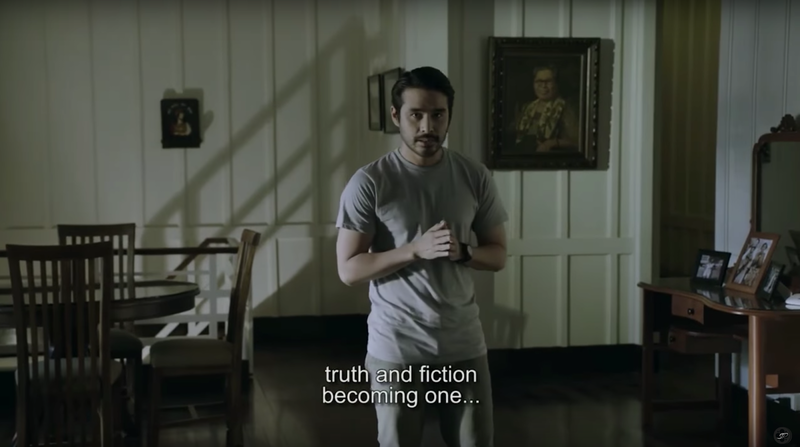 Citizen Jake is an important film in today’s Pilipinas. It is a bleak but necessary look at the cycle of abuse and power in the country. It confronts the audience with blatant truths disguised as fiction and offers no way out nor redemption for the characters. Citizen Jake is political but it does more than criticize. It shows us that the people we may regard as evil may be motivated by some sick sense of love for country and are just doing what they think is necessary. There are no good guys here. Not even Jake. It shows that we are all haunted by the ghost of a political past. We are abandoned by our heroes. We are bred from a system that tells us that there is an inescapable divide between a master and a slave; where justice is unattainable. We watch helplessly as life is drained out of our country because we are bogged down by our own sins. And in the end, just like in real life, it is the little people who always end up dead and fucked. Most of us, like Jake, are protected by our privileges. We go on our crusades, we rebel against the system to give meaning to our lives only to find out that we may be complicit in the injustices of our society. Citizen Jake is a barrage of inescapable truths. The state of the nation. It does not tell us to rally behind a movement to topple a dictator or stand up against a tyrant. It shows us a mirror into our society today – a society that breeds and nurtures strongmen. What we do with that information is entirely up to us.